Life of Dora Dori: Am I giving enough? In relation to child's preparatory to early education, most of my friends at work place are already planning to send theirs (who coincidently are the same age as Piya) to kindergarten next year. I read the school's program and it does sound awesome but it also chimes with Kaching! Well why not if you can afford it right? But that's not the part that is bothering me though. 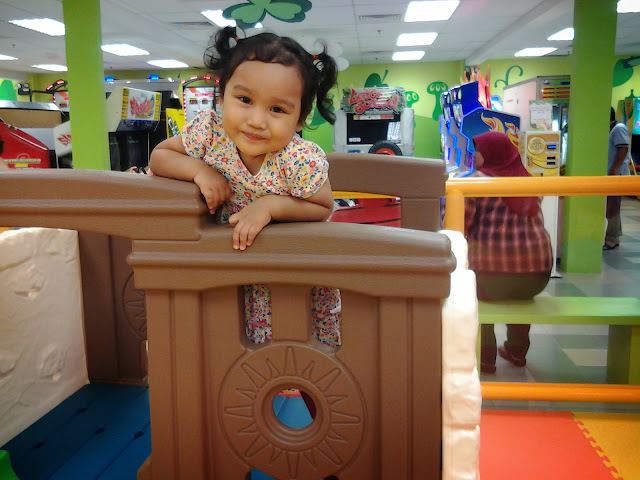 I have been sending Piya off to play school since January this year when she was only 1.5 year old. And Alhamdulillah I do notice a lot of positive virtues instill in her. I should applaud her school for this. *clap clap! Among the pivotal reasons why I'm sending her there is because the convenience of distance. The play school is just a few steps away from where I'm living with zero traffic. Plus, the monthly fee is only RM350. So yeah I am saving a lot enrolling her in this play school. The best part of sending her there is that she does not become a recluse & clingy child because she is learning to socialize & sharing. I'm happy that she is not a misanthropic at her age. But the thing is; is it sufficient? She's happy..... She's very happy at her current play school. Every morning after I passed her to her teacher, I return to my steering wheel and would wave her goodbye from my window. You know what? 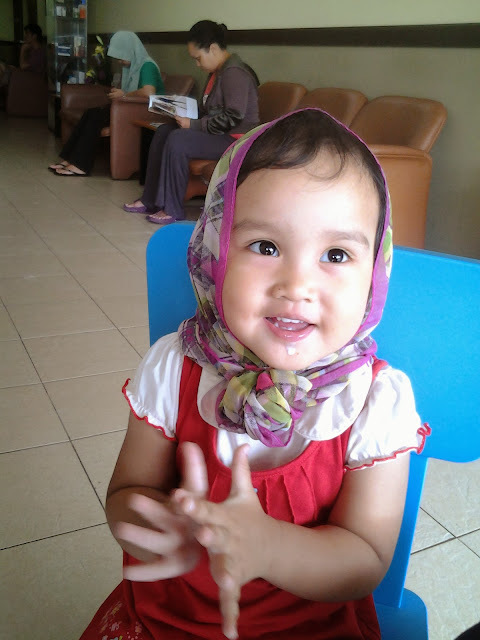 Every day she gives me a big smile, waving happily and say "bye mama! byeeee!". She is so happy that I would drive away in tears. The tranquility holds you dearly for knowing that your child is safe and happy. But this doesn't answer the perennial question; am I providing her enough? yes..we as mothers always wonder kan? i think about that a lot too... where u send piya? i pon nak start hantar adam to play school. he need to socialize!! I just think that we could be providing her more than what she has today. oh, her play school is just a few steps away from my parents house (take note that im still staying with my parents) which happens to be very convenient. my husband and i always return home late sometimes at night so granny will fetch her..
it's a good preparatory when you exposed them to play school at an early age. based on my observation, those who mingle early tend to be more socializing and friendly to others.